NATURAL RESOURCES: A gentle bajada interlaced with washes slopes to the west toward Silver�Dry Lake. To the east, low rolling hills lead to the Turquoise Mountains, a gentle range with smooth ridges and rounded peaks. Elevations range from 300 feet on the west to a central summit of 3,122 feet. 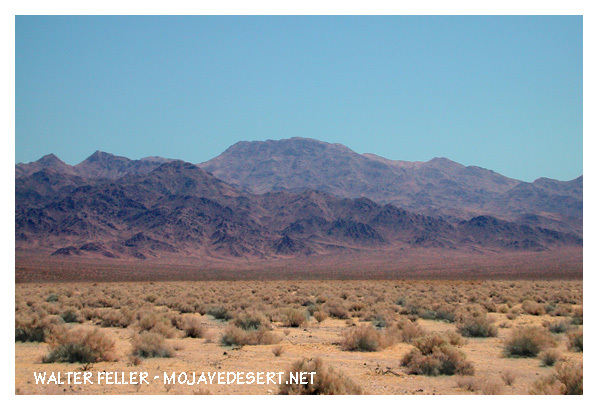 The Hollow Hills Wilderness contains plains, hills and alluvial fans typical of the California desert. Desert tortoise and Mojave fringe-toed lizard have been seen here. Creosote, desert holly and scale scrub plant communities prevail throughout this area.